Imagine if you could give someone a greener future for Christmas. Thanks to a handful of community wind projects, the dream can actually be a reality this year. (Consider it a gift to yourself too, in that sense!). These community energy projects have all had their wind turbines successfully built and are currently offering shares to the public. That allows you and your loved ones to have a stake in Britain’s sustainable energy of the future. How about visiting the site together for a meaningful road trip? YnNi Teg are a new Welsh community energy society with a turbine in West Carmarthenshire up and running as of 2017. These guys estimate they’ll be generating enough electricity to power 650 households - saving 827 tonnes of CO2! Some of YnNi Teg’s profits will go into a community fund to improve the lives of people living close to the turbine, as well as supporting other community energy groups in Wales. Recruiting new members for a minimum of £100, the offer’s open until the society reach their target of £1,800,000. So what are you waiting for? A new dawn - Double BAFTA-Cymru winner, Mike Harrison, captures the moment that the blades are lifted onto one of the Awel Co-op turbines. 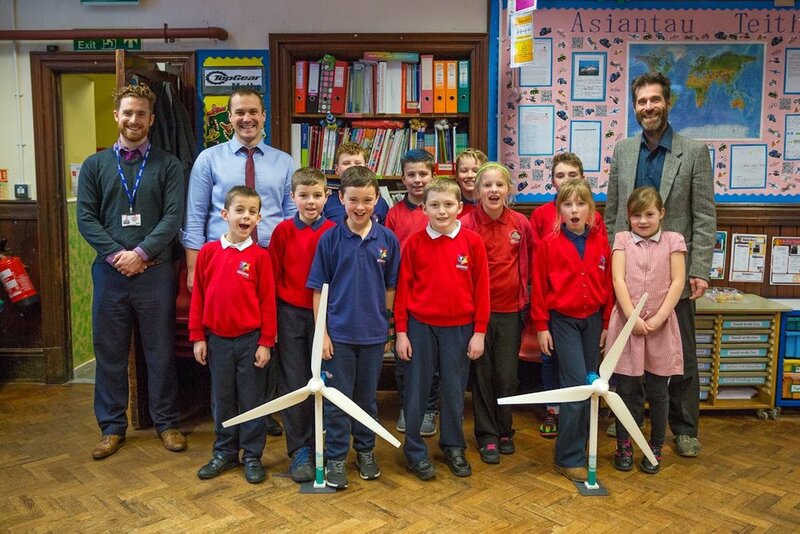 Scoring another brownie point for Wales are Awel: an award-winning, independent community benefit society set up by community energy charity Awel Aman Tawe (AAT). They’ve built two big wind turbines on Mynydd y Gwrhyd, 20 miles north of Swansea. AAT are all about addressing fuel poverty, developing renewable energy and running climate change projects in the community. That's where the profits from Awel turbines (which power a whopping 2,500 homes per year!) will go. The co-op have done a stellar job of raising funds so far. If you want in on the action you can buy shares for £50 - a raging bargain we reckon. 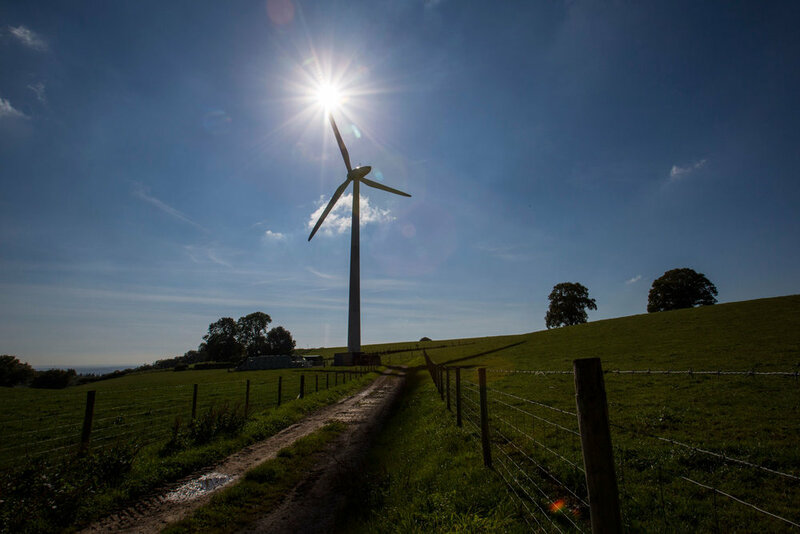 REACR is a community benefit society that owns and operates the turbine at Alvington Court Farm, Lydney - in the Forest of Dean part of Gloucestershire. The turbine has so far generated an impressive amount of energy and is touted to reduce 731 tonnes of CO2 per year. True to its name, Resilient wants to help create community... resilience! They’re hoping to donate £500,000 to the local community over the next 25 years. There’ll also be an additional rolling fund to reduce energy bills for those with poorly insulated homes and to create local jobs. REACR is offering £600,000 worth of shares - starting a #250 per person. But get your skates on; the offer will only be open until 20 December 2017 - and may close earlier if they meet their target before then! Newer PostHow to start a climate conversation (and stop it from going badly wrong). Older PostSolar freaking railways could be coming to a station near you!